If you follow my Instagram Stories you know I’ve been on the hunt for a new tinted moisturizer. I wanted something a little bit lighter than my heavier foundations, but one that still gave me good coverage! So I found this Philosophy renewed hope in a jar skin tint when browsing the beauty section of QVC and was convinced I needed to try it after reading all the amazing reviews. 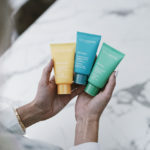 If you’ve never shopped the beauty section of QVC you’re missing out, because you can shop from all of your favorite brands in one place and they have a huge selection! **I have been compesated by QVC for the creation of this post. All thoughts & opinions remain my own. As part of my daily routine, before I apply my makeup I always wash my face with a light cleanser. 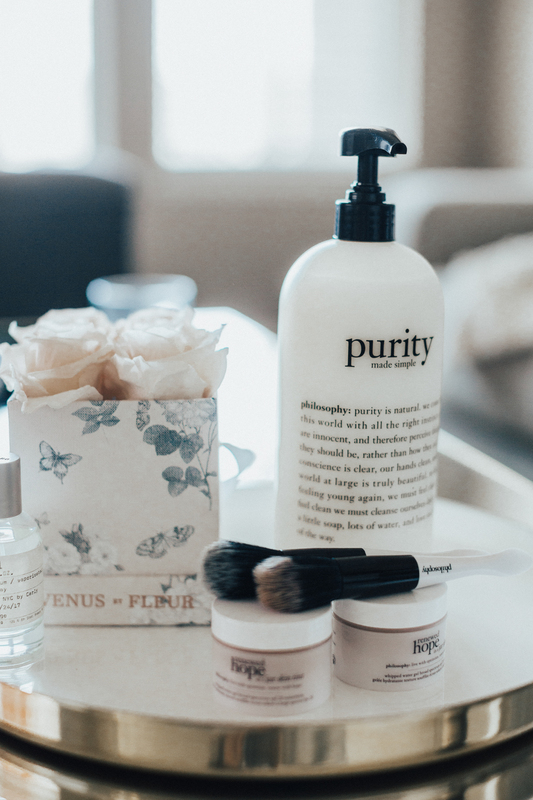 I’ve heard great things about the Philosophy Purity made simple cleanser and saw it as a recommended product when looking at the moisturizer, so I added this to my cart as well. 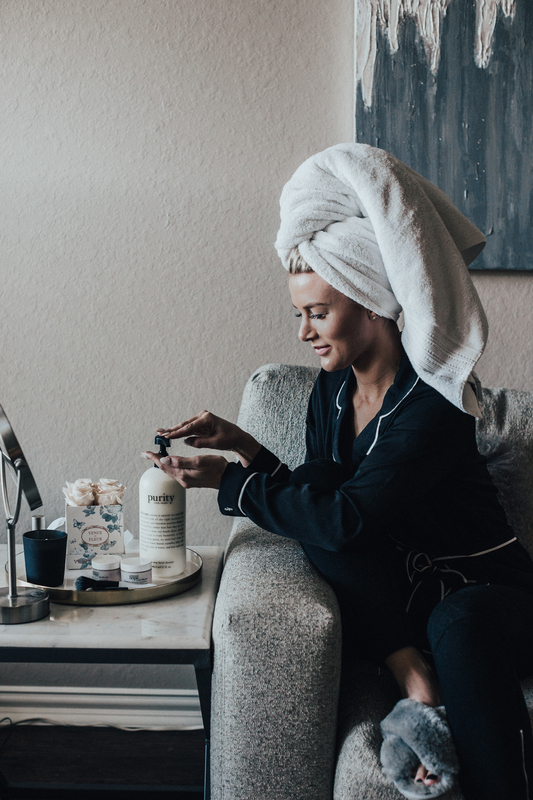 It’s a one-step facial cleanser and comes with a pump (which is so clutch when your eyes are closed and you’re trying to wash your face). 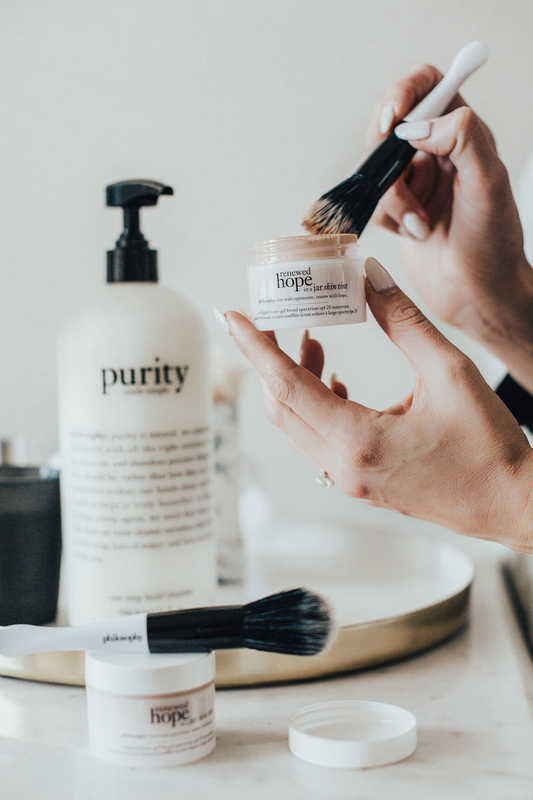 Overall, I really love the renewed hope in a jar skin tint because it has 20SPF (a must for me) and a little bit goes a long way with the applicator brush. The brush that comes with it makes application super easy and mess free. It also leaves a lighter finish that doesn’t look cakey, which is exactly what I was looking for!